Coffee machines and kettles suffer from lime scale and calcium build-up, which will damage your equipment. 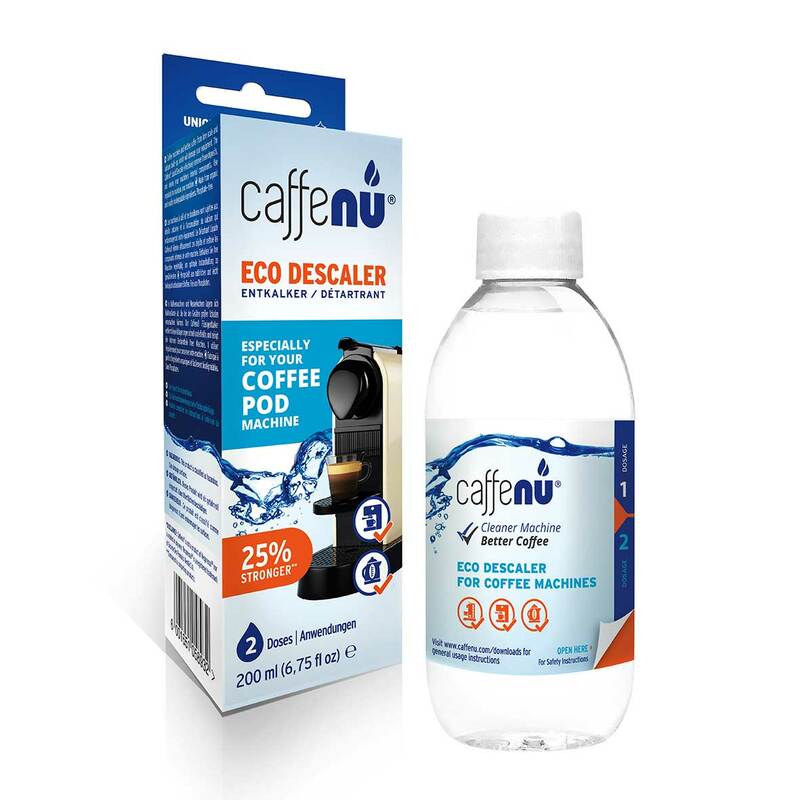 The Caffenu® Eco Descaler effectively removes these deposits, and cleans your machine’s internal components. 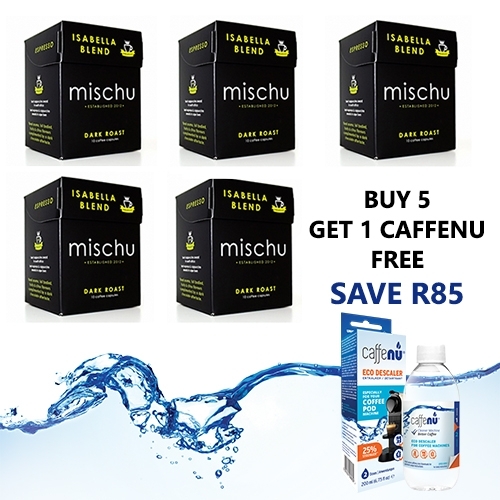 Includes a 200ml bottle, enough for 2 doses. Suitable for all coffee machines, kettles & urns. 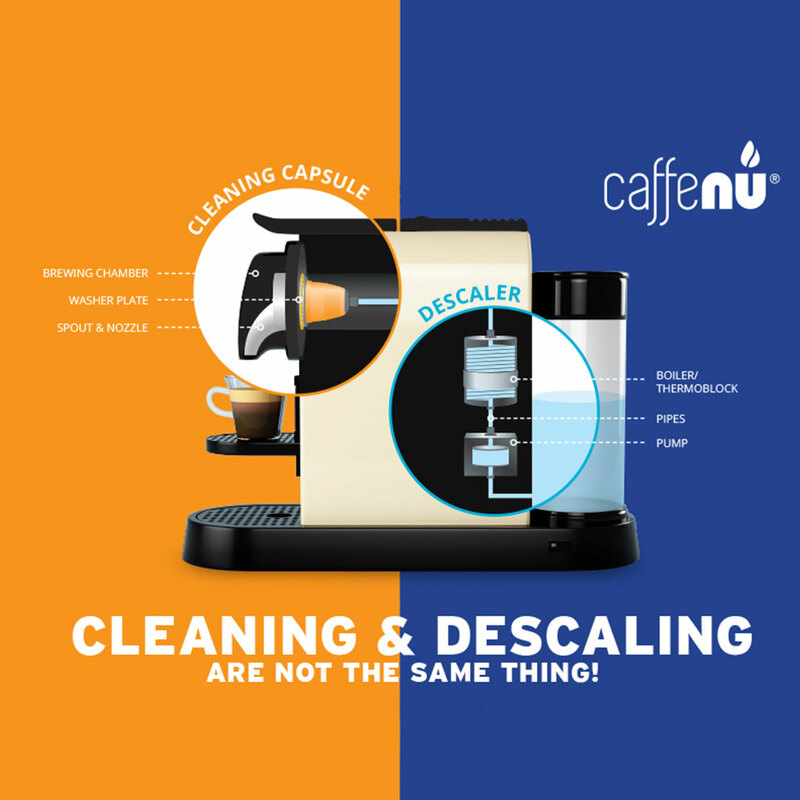 Improve your in-cup experience and descale your coffee machine regularly to remove all the build-up and deposits inside your coffee machine. Coffee machines and kettles suffer from lime scale and calcium build-up, which will damage your equipment. The Caffenu® Eco Descaler effectively removes these deposits, and cleans your machine’s internal components. Includes a 200ml bottle, enough for 2 doses. To keep your machine functioning properly, you should remove build-ups by descaling regularly. It is recommended that you descale your machine at least once every 3-6 months. But if you use your machine often and want to ensure that it is always producing the best flavour, it is recommended that you descale it after every 300 cups. The entire descaling process from start to finish should take no longer than 20 minutes. Suitable for all coffee machines and coffee appliances, kettles and urns.